No matter how much delicious European food I try, my favourite places always seem to have some Asian flavour to it. 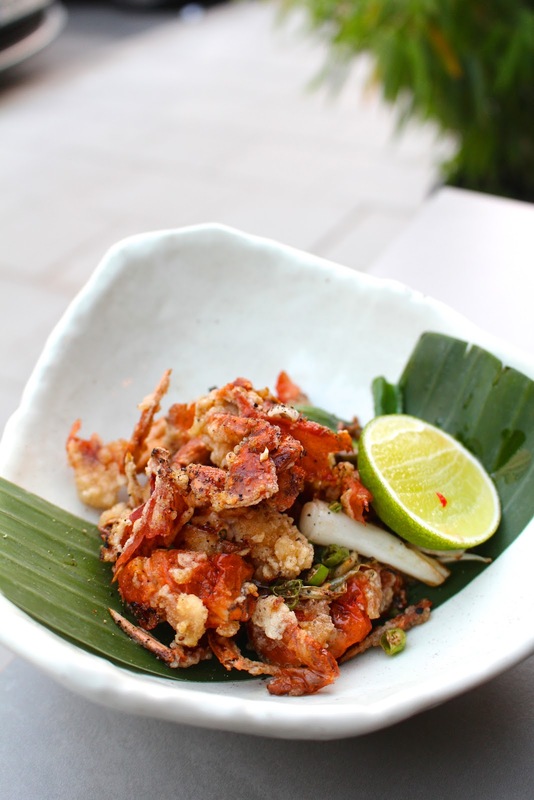 Roka, Nobu and Kurobuta were some of my top favourite restaurants in London, and I've discovered a similar gem in Munich. 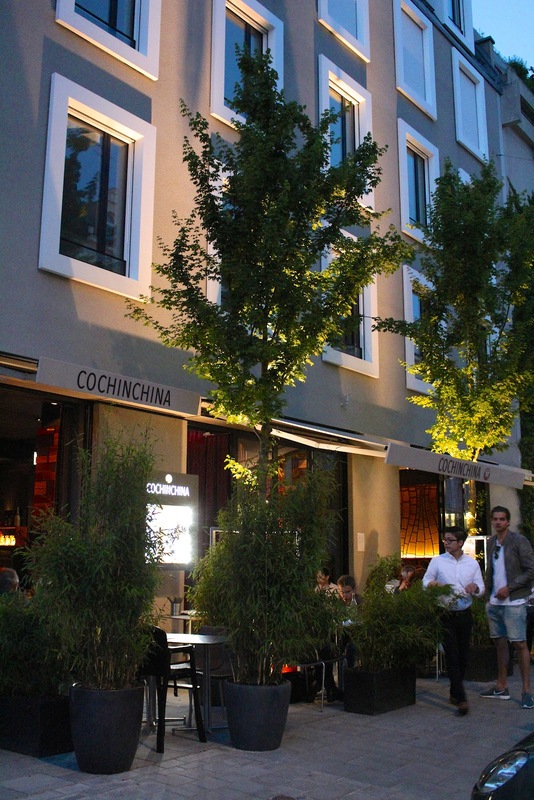 Cochinchina opened in 2014, less than a year ago, and already seems to be a firm favourite among the young Munich crowd. 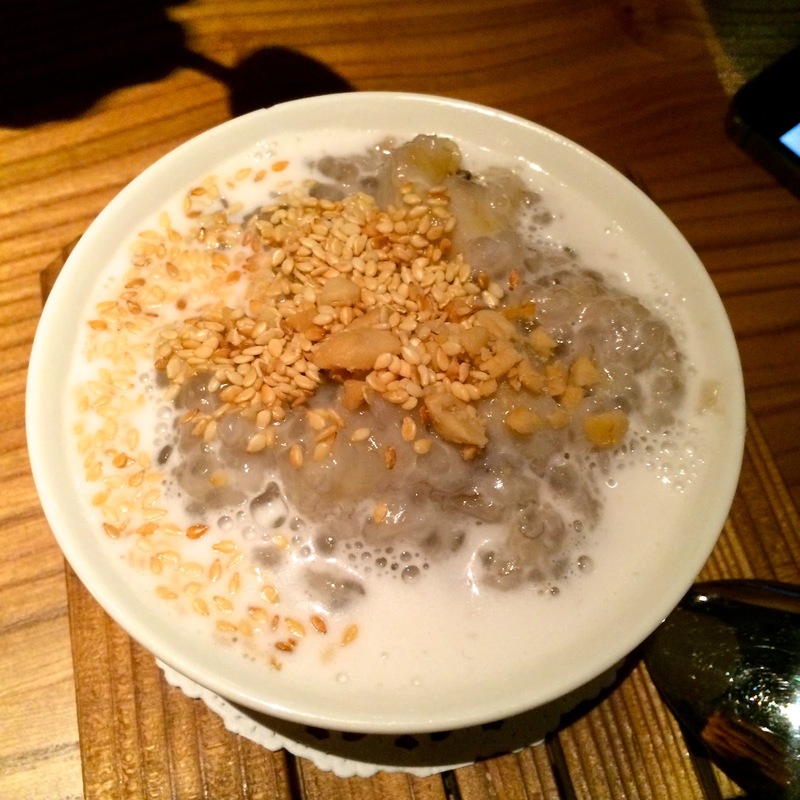 Here, you'll find some of Munich's finest Vietnamese and Asian inspired dishes, and I keep bringing friends and family there (who all love it! ), so it's time for a proper review. One of my friends who lives nearby (aka a regular at Cochinchina), was the one who took me here for the first time. It's difficult to get a table, but manageable for two. I've been here three times in total, and last week I took my mom here, which also was the perfect opportunity for me to finally take some proper photos ("No eating yet! Pictures first!"). I asked my friend what the best thing on the menu is here, but her answer is always the same "literally everything is good", sounds good right? Though it was a busy night, we got a nice little table outside so we could enjoy the rare summer night in Munich. I had the Cochinchina Cooler, which has already become a firm favourite, it's fresh & ginger-y. 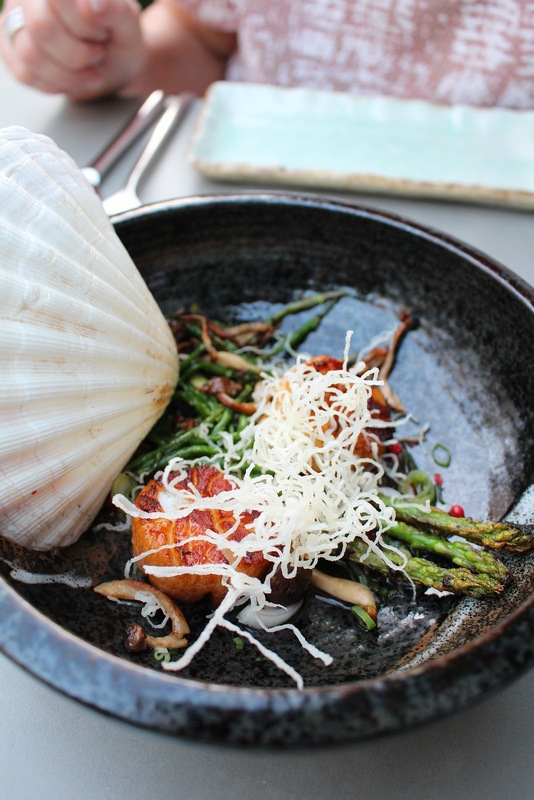 We started off with scallops, cooked to perfection with a tasty sauce, crunchy mushrooms, fresh pepper, baby asparagus and samphire. I could have eaten a big bowl of these. 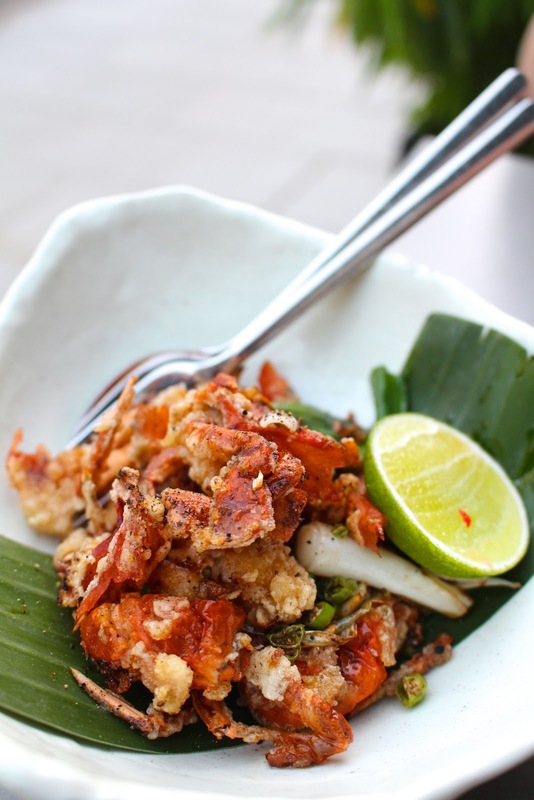 Next up was the fried softshell crab with a squeeze of fresh lime juice. We finished every last crumb of this. Delicious. 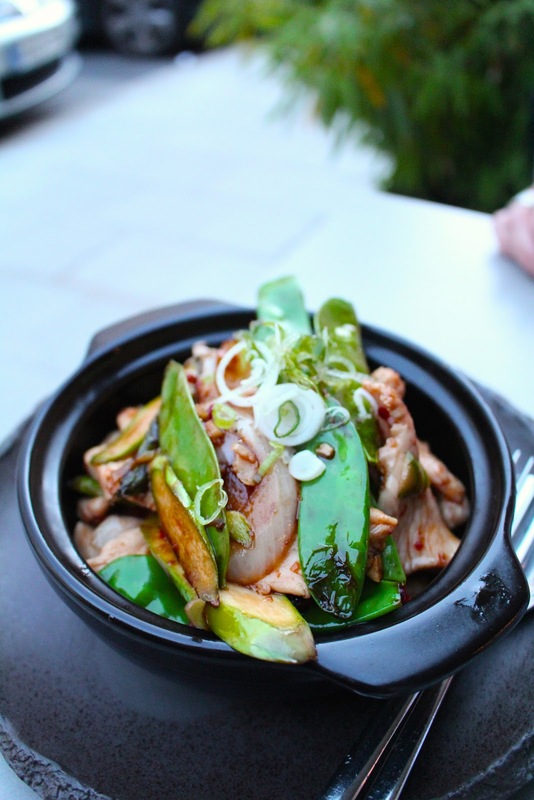 As a main we shared a special from the menu: caramelised chicken with vegetables & rice. And one of my favourites which I order every time: soft pillows filled with crunch duck and a sticky sweet hoisin sauce. This normally comes with cucumber too, but we asked without due to allergy reasons. Still amazingly good and very crunchy indeed. 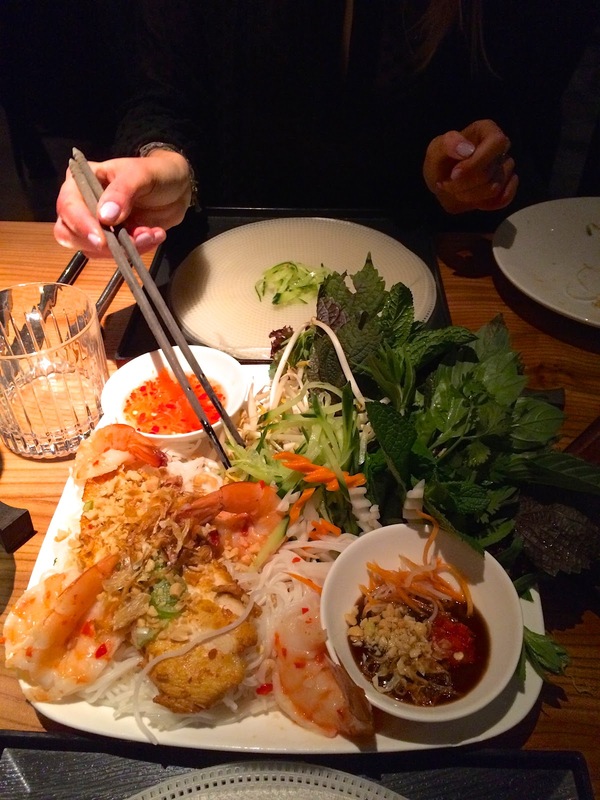 I've also got a few snaps from my previous visits, where we ordered the DIY summer rolls with shrimp and chicken. Super tasty and fun to do. You put different ingredients on some rice paper and roll it up yourself. Definitely not date proof because it's very messy! The glass noodle salads are also tasty... actually I don't think there's anything on the menu which isn't good! Cochinchina is one of Munich's more popular spots, and it's 100% justified (thank god it's not just a hyped place with average food). The staff here is also incredibly nice and helpful (though on busy week nights they might be a bit understaffed). 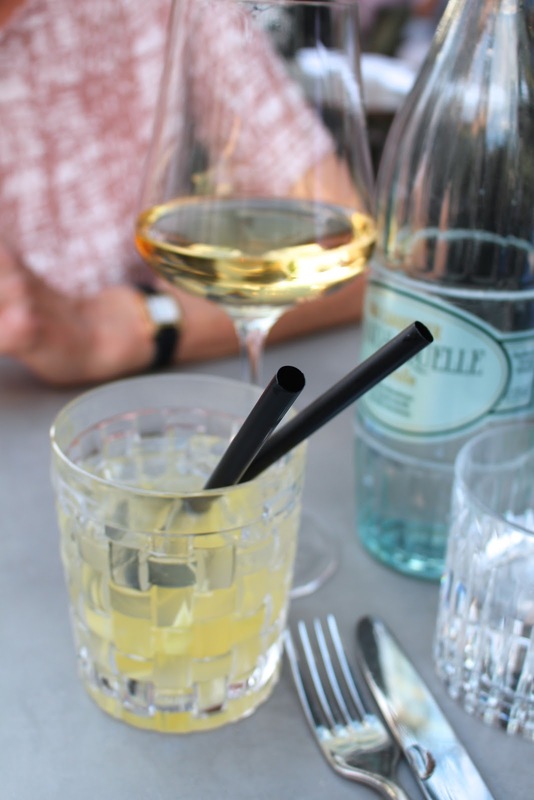 Ask for a nice table when making a reservation (mandatory) or sit outside with nice weather. Price-quality is absolutely on-point, and I'm definitely willing to pay a little more for good quality and good service. This is one of my favourites in Munich already!